A full line of shaft collars, rigid couplings, and mounts for building conveyors with varying load capacities and environmental considerations are available from Stafford Manufacturing Corp. of Wilmington, Massachusetts. 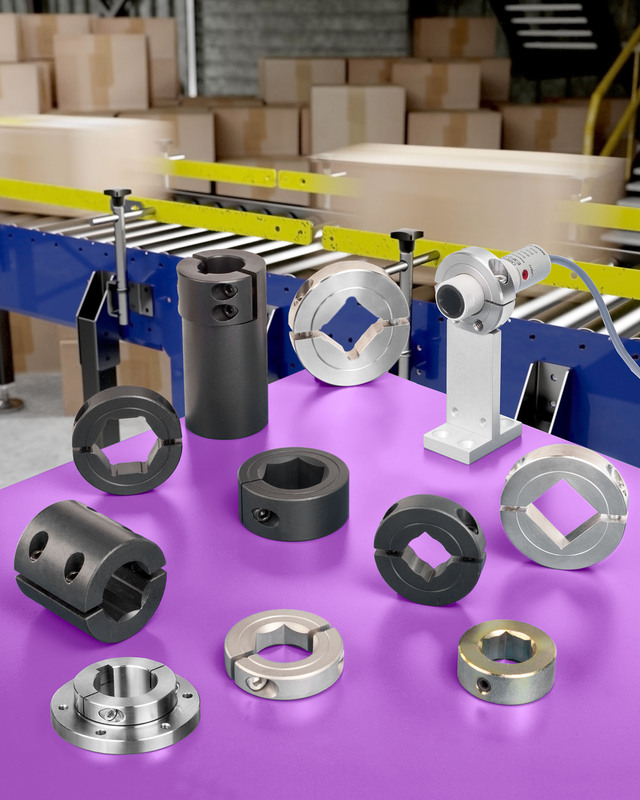 Stafford Shaft Collars, Couplings & Mounts are ideally suited for use in virtually all conveyor systems as stops, spacers, and mounting devices for guides, rollers, sensors, and other structural and mechanical components. Featuring over 4,000 standard parts and extensive custom manufacturing experience, the firm can match specific conveyor system requirements. Available with smooth, hex, and square bores for use with various types of drive and roller systems, Stafford Shaft Collars, Couplings & Mounts come in 1/2” to 6” diagonal I.D. sizes. Manufactured from aluminum, stainless, steel, specialty alloys, and plastics, in one- and two-piece clamp types and in set-screw styles, they are supplied off-the-shelf or can be custom made. Stafford Shaft Collars, Couplings & Mounts are priced according to type, material, size, and quantity. Price quotations are available upon request.